The nation’s nuclear deterrence enterprise remains as important as ever in light of the return of superpower competition and rogue nation threats presented by North Korea and Iran, senior Defense Department officials told the House Armed Services Committee’s strategic forces subcommittee here today. The officials discussed national security policies with regard to DoD’s fiscal year 2019 budget request and within context of the country’s nuclear force posture. John C. Rood, undersecretary of defense for policy; Air Force Gen. Robin Rand, commander of Air Force Global Strike Command; Navy Vice Adm. Terry Benedict, director of the Navy Strategic Systems Program; and Lisa Gordon-Hagerty, administrator of the Energy Department’s National Nuclear Security Administration, each presented testimony on the importance of the nuclear force. According to Rood, the 2018 Nuclear Posture Review reflects DoD’s strategic priority to maintain a safe, secure, survivable and effective nuclear deterrent. While the diverse capabilities of the current nuclear triad provide necessary flexibility and resilience, each leg of the triad has surpassed its intended operating lifecycle. 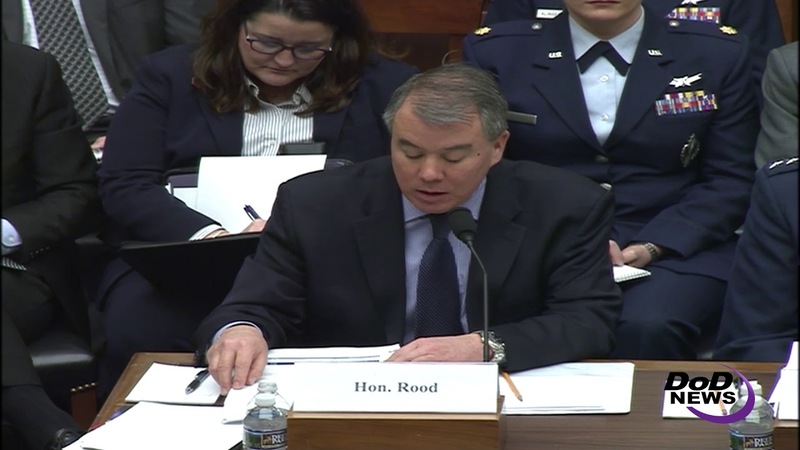 While the U.S. remains the strongest military in the world, the advantages are eroding as adversaries continue to modernize conventional and nuclear forces, now fielding broad arsenals of nuclear missiles capable of reaching the American homeland, Rood said. At the direction of U.S. Strategic Command, a recent reorganization of authority took place within Air Force Global Strike Command, Rood said. In September, Rand became dual-hatted, assuming the duties of Joint Force Air Component Command, Air Forces Strategic-Air, a position created to streamline authorizations for bomber and intercontinental ballistic missile forces under one line of authority. This, along with other current and future initiatives, are a priority for Rand and Global Strike Command in the continued defense of the nation. The Navy is currently in the process of implementing life-extension programs for defense weapons. Benedict said those programs are on track and within budget constraints. Benedict said existing efforts will ensure effective and credible sea-based deterrents until the 2040s, and the Navy is also taking steps to provide credible weapons systems beyond the 2040s. The Nuclear Posture Review directs the Navy to begin studies in 2020 to define a cost-effective, credible and effective sea-launched ballistic missile that can be deployed beyond the life of the Columbia-class submarine nuclear weapons system, Benedict said. The first of the Columbia-class submarines, which are to replace the present Ohio-class Trident nuclear submarines, is slated to come into service in 2031. Benedict added that budget requests included funding for modernization efforts in partnership with the National Nuclear Security Administration to bolster the U.S. deterrence posture. The NNSA, according to Gordon-Hargerty, has three main objectives, to maintain the safety, security and reliability of the U.S. nuclear weapons stockpile, reduce the threat of nuclear proliferation and nuclear terrorism around the world and provide nuclear propulsion for the Navy’s fleet of aircraft carriers and submarines. 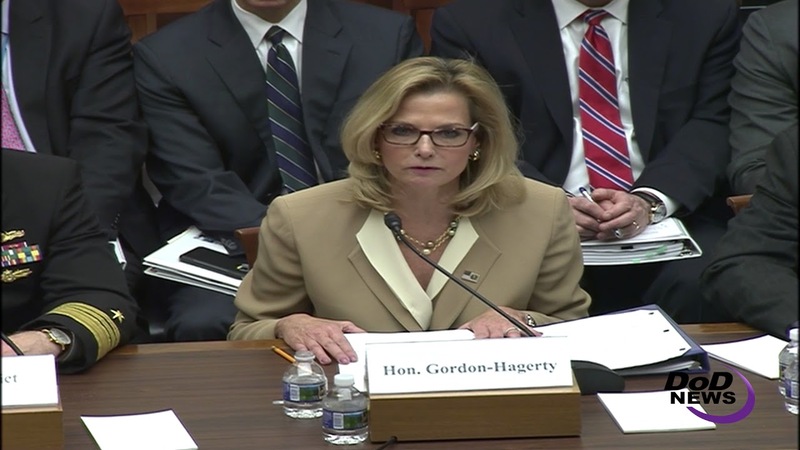 To meet those objectives, Gordon-Hargerty said the president’s fiscal year 19 budget request included increased spending in areas such as weapons activities, defense nuclear nonproliferation and naval reactors. “This request moves us forward to a deterrent that is modern, robust, flexible, resilient, ready and appropriately tailored to meet current and future uncertainties as outlined in the 2018 Nuclear Posture Review,” she said. Gordon-Hagerty said this added funding will also provide the resources required to ensure protection of the U.S. and its allies and partners.